Smith’s Fan Convectors has provided six Caspian Universals for Christ the Servant Church of England in Digsmoor, Skelmersdale. The contractor was Colin Wakefield of Wakefield & Wilson, Garston, Liverpool, who had already installed Smith’s fan convectors in a previous church. The church’s existing heating dated from 1972. The maintenance programme had lapsed and the heating was both noisy and ineffective for the congregation. From a cold start, the church is now warm within 40 minutes and everyone is extremely pleased with the almost silent Smith’s Caspian Universals, which plumb into all types of wet central heating systems. 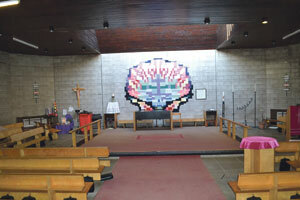 The contractor has also installed Caspians in a further three churches in the North West. This entry was posted in News and tagged Air-Conditioning, Heating, Ventilation. Bookmark the permalink.